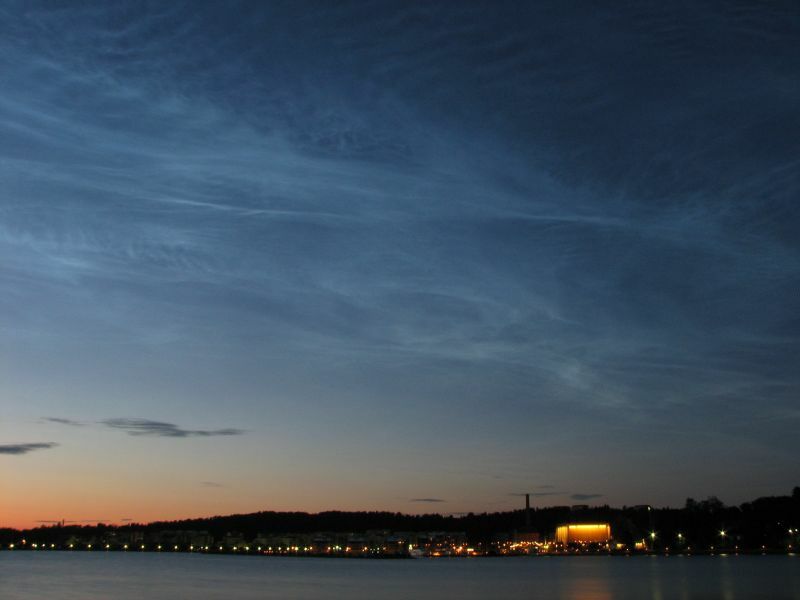 The Noctilucent Clouds have not been very prominent this year here in Stockholm but they do appear almost every night close to the northern horizon. 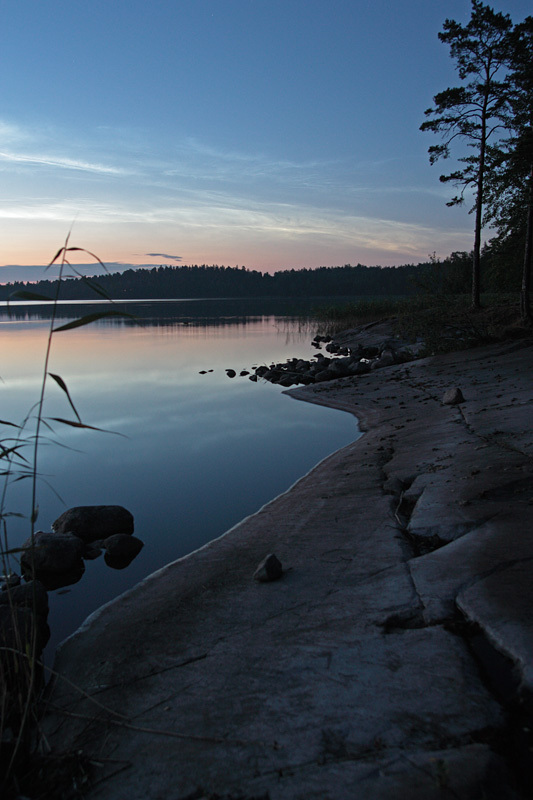 This is a panorama of 2 pictures taken shortly before midnight and exposed for 13 seconds at f/5.6. Photo details: Canon Eos 40D and a 70-200/2.8 zoom. 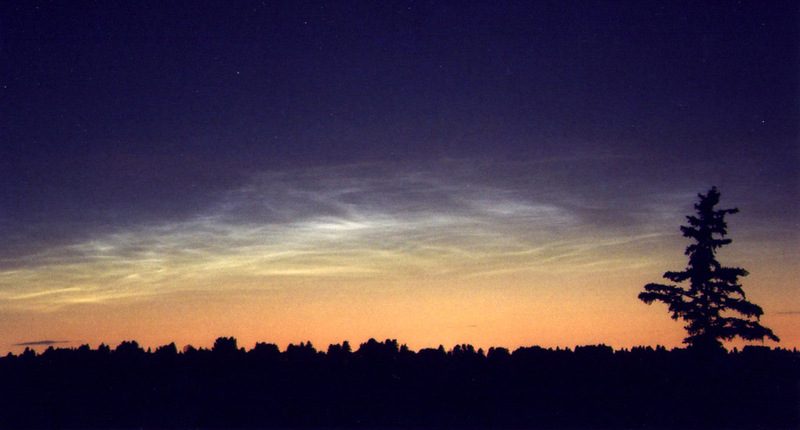 This view of NLC can be one of the farthest from pole. I went to mile-high Tasliyayla Plateau, 40 km south of Bolu, Turkey for dark skies. 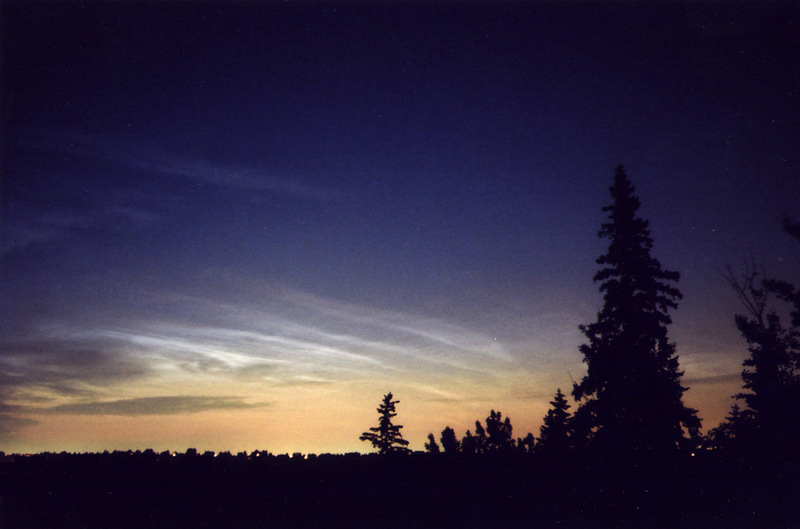 Noctilucent clouds lit up as soon as the morning twilight started. Amazing... For the record, my location was 40d 31' N, 31d 37' E.
Photo details: Canon EOS 5D camera at ISO 50, 35 mm lens at f/4, 20-second exposure. 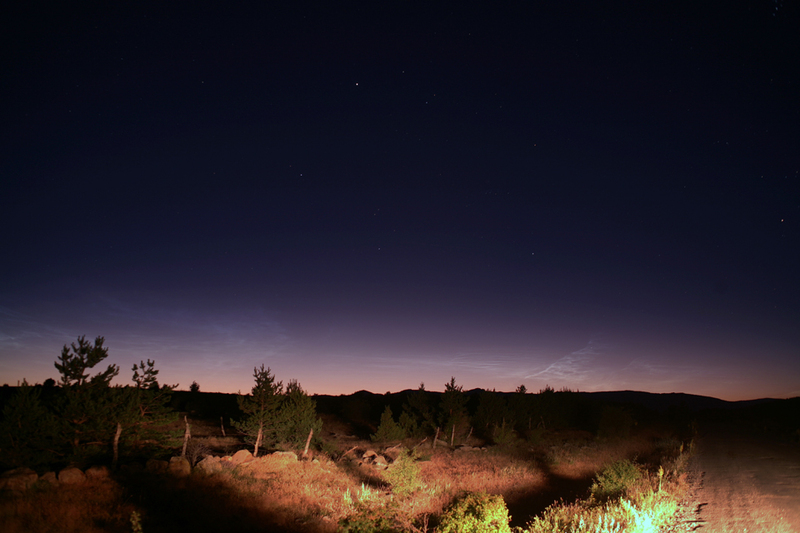 The noctilucent clouds were allready visible 80 minutes after sunset, usually we see them only in the latter part of the night. It seemed that there were two "origins" for the cloud waves, roughly ten degrees apart horizontally. Photo details: Nikon D1H with 24 and 200 mm lenses, exposures of 2 seconds per frame each at 400 ISO setting. 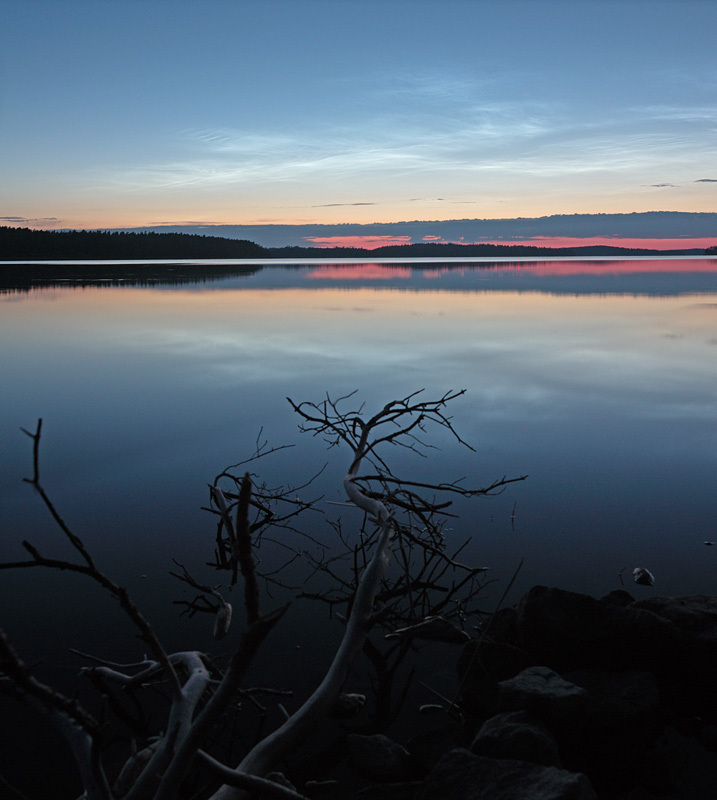 At last some stronger Noctilucent Clouds here in Sweden. 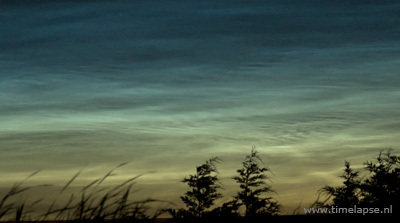 There has been some very few a weak NLC displays lately and I hope that it will be better days to come. Photo details: 20mm Sigma, 50mm Canon and a Canon 450D. 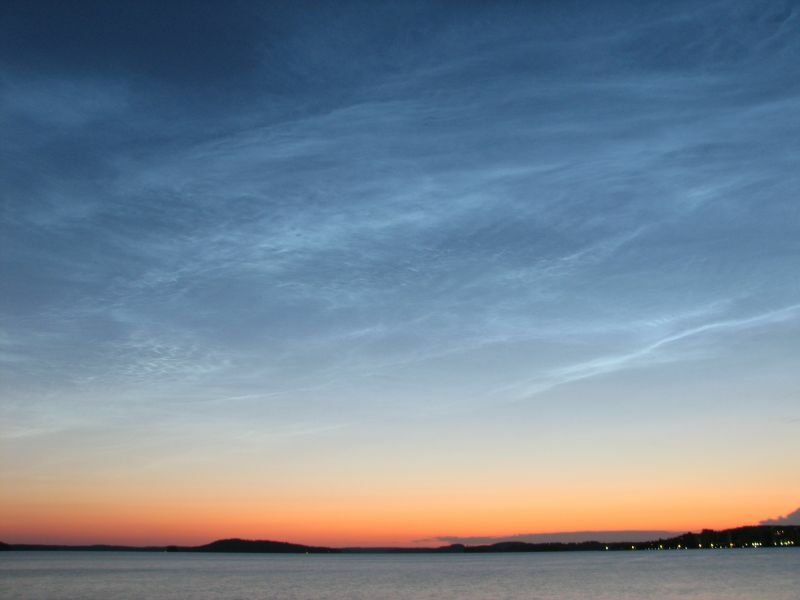 Heard in the stormchasers irc-channel that noctilucent clouds were appearing in the eastern sky. Quick check from the balcony and I left with a friend to the lake shore to see the northern view. 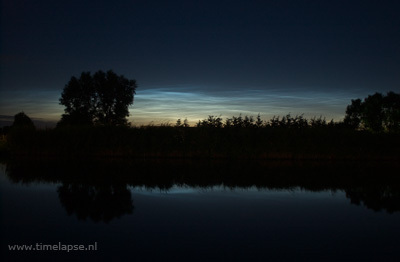 They really were quite bright and beautiful and I got my first noctilucent cloud photos ever. 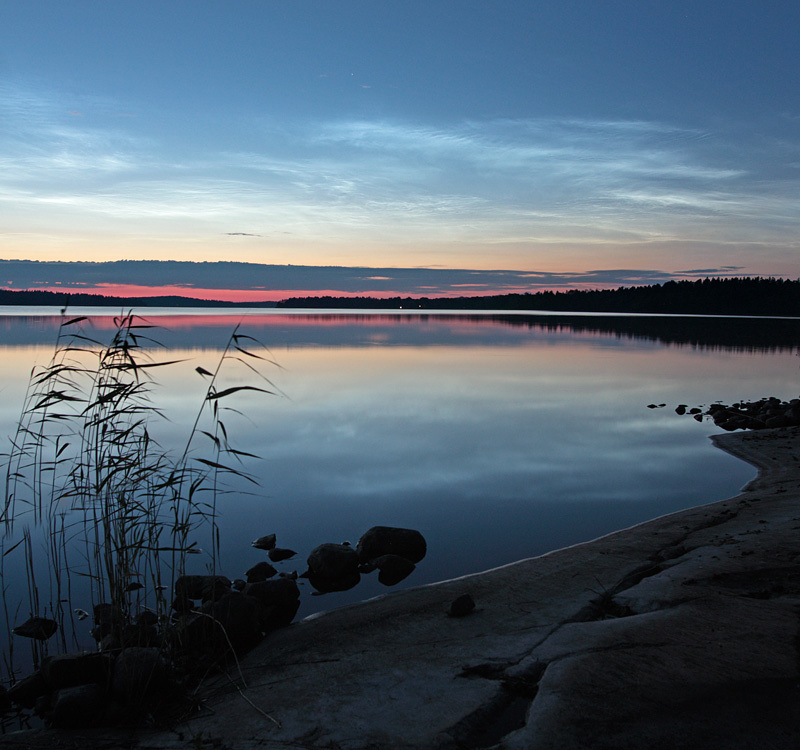 Noctilucent clouds seem more prevalent in northern Europe than North America this year. Nevertheless, we have had some good sightings in Edmonton, Canada. The first photo was taken in the early morning hours of June 28, the next photo was taken several days later and the last photo was taken about 1:00 am yesterday on the 9th of July.